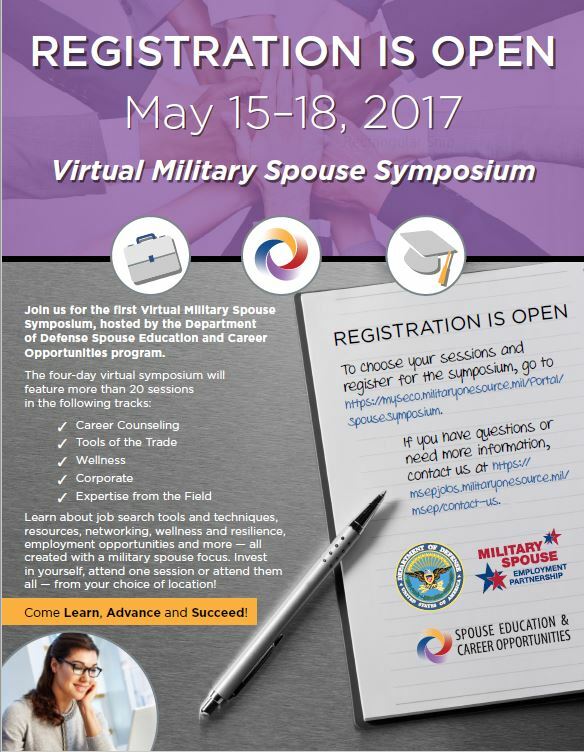 Military Spouse Employment Partnership (MSEP) employer Veteran Recruiting is hosting a virtual career fair on Wednesday March 27th, 2019 from 1 until 3 p.m. EST. This event will feature more than 120.000 job openings. Job seekers will have the opportunity to meet live with dozens of America’s most veteran friendly employers, chat live with recruiters, view/apply for jobs, and connect with other veterans, military spouses and more in the networking lounge. Be sure to login ahead of the event to research companies that will be in attendance. *no federal endorsement implied of companies mentioned in flier.